U.S. Secretary of State Mike Pompeo said on April. 8, 2019 that Washington will decide "in due course" whether to extend waivers for countries seeking to import oil from Iran. South Korea and seven other economies were granted temporary waivers in November after the U.S. withdrew from a 2015 nuclear deal with Iran and reimposed sanctions on the country. South Korea's top diplomat on April. 8, 2019 asked the Association of Southeast Asian Nations (ASEAN) to continue its support for Seoul's group summit with its member countries slated for November, the foreign ministry said. Foreign Minister Kang Kyung-wha met with ASEAN Secretary-General Lim Jock Hoi in Jakarta on the sidelines of her visit to Indonesia to attend the third ministerial joint committee session with the Southeast Asian nation. South Korean President Moon Jae-in will likely seek greater flexibility from U.S. President Donald Trump when they meet this week to discuss the next steps in denuclearization talks with North Korea, analysts here said on April. 8, 2019. The two leaders are scheduled to meet at the White House on Thursday after the breakdown of Trump's second summit with North Korean leader Kim Jong-un in Vietnam in late February. Japanese Prime Minister Shinzo Abe has reportedly called for South Korea to respond properly regarding the issues of Korean victims of Japan's wartime sexual slavery and lawsuits over Japan's forced wartime labor. According to the Japanese Foreign Ministry, Abe made the call on Monday during a meeting with outgoing South Korean Ambassador to Tokyo Lee Su-hoon at his office. Television personality Robert Holley was detained by police on Tuesday for suspected drug use. Holley, also known by his Korean name Ha-il, was arrested at a parking lot in western Seoul at around 4 p.m. on Monday. He was transported from the Gyeonggi Southern Provincial Police Agency to the Suwon Nambu Police Station and taken into custody. Ahead of his transfer at 1:30 a.m. on Tuesday, Holley told reporters that he was sorry and had a heavy heart. The presidential office, the government and ruling Democratic Party have agreed to provide free high school education by 2021. The ruling bloc made the agreement on Tuesday during a policy coordination meeting at the National Assembly. The three sides agreed to provide free education for high school seniors starting in the fall semester of this year and expand it to juniors next year and all high school students from 2021. South Korea's presidential office, the government and the ruling Democratic Party (DP) agreed Tuesday that the country will provide free education to all high school students starting in 2021. To this end, authorities will begin free education for high school seniors in the fall semester and expand it to students in their second and third years of high school next year. 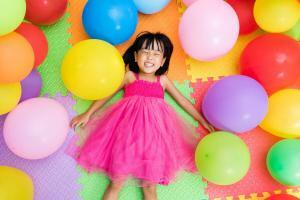 Currently, South Korea provides free education for elementary and middle school students. Prosecutors have decided to drop a case against South Korean Ambassador to Russia Woo Yoon-keun for allegedly taking kickbacks from a real estate developer in return for job favors, judiciary sources said Monday. The Seoul Central District Prosecutors' Office made the decision Friday not to charge him because of insufficient evidence. Woo was suspected to have received 10 million won (US$8,921) in total from a businessman, identified by his surname, Chang, in April 2009. South Korean shares opened slightly higher Tuesday, led by institutional buying. The benchmark Korea Composite Stock Price Index (KOSPI) gained 0.16 point, or 0.01 percent, to 2,210.76 in the first 15 minutes of trading. Institutions' buying lent support to the index, offsetting selloffs by foreigners and retail investors. Tech shares were down. North Korea appears to be replacing its top envoy in Vietnam over a month after the breakdown of February‘s summit between leader Kim Jong-un and US President Donald Trump in Hanoi. 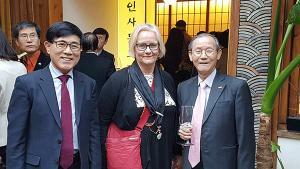 Kim Myong-gil, the country’s ambassador to Vietnam, made a farewell visit to Vietnamese Vice President Dang Thi Ngoc Thinh on Friday, according to the Korean Central News Agency. The South Korean government pledged Monday to invest more than 30 trillion won ($26 billion) to establish a full-fledged 5G environment by 2022, as the country beat its competitor by a hair to begin commercial services of the hyperspeed network last week. During an event to mark the achievement at the Olympic Park in Seoul, President Moon Jae-in introduced the country’s comprehensive 5G-based initiative. In collaboration with private companies, he pledged to build a nationwide 5G network by 2022, with a plan to promote 5G-based industries extensively. Korea has gone all out to become a frontrunner in fifth-generation (5G) networks, setting a goal of creating 600,000 jobs and $73 billion worth of exports in related industries by 2026, the government said Monday. It will do this by fostering an ecosystem of next-generation network-based industries and services. The Ministry of Science and ICT, which formulates the government's 5G policy, designated 10 industrial sectors and five key services for its "5G Plus Strategic Business" plan. All eyes are on North Korea to see if it makes a major announcement on its nuclear plans, Thursday, when the regime plans to hold a major parliamentary meeting. Last month, North Korean Vice Foreign Minister Choe Son-hui hinted that the regime's leadership would soon make public its "crucial decision" on denuclearizing the Korean Peninsula. President Moon Jae-in will visit three Central Asian countries over eight days from April 16, Cheong Wa Dae said, Monday. "President Moon's eight-day state visit to Turkmenistan, Uzbekistan and Kazakhstan will start April 16. Among key issues to be discussed during the President's planned summits with the heads of the respective Central Asian countries are potential economic benefits from collaboration in Seoul's New Northern Economic Policy," Cheong Wa Dae vice spokeswoman Ko Min-jung said in a briefing. At least 1,586 salaried workers earned more than W500 million last year (US$1=W1,139). Conglomerate tracker Chaebul.com analyzed reports by 2,821 companies and found that 1,586 workers earned more than W500 million including wages, retirement pay and stock options. 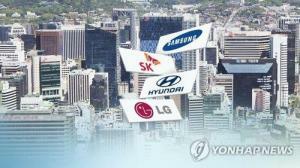 The biggest proportion or 28.5 percent were employed by the top 10 conglomerates -- 91 each by Samsung and SK, 72 by Hyundai, 56 by LG, 39 by Lotte and 32 each by GS and Hanwha. Korea's highest wage-earners are not lawyers or bankers but lawmakers, who made W140 million last year (US$1=W1,139). The lowest-paying profession, as ever, is poet, with practitioners taking an average of just W10 million a year to their garrets. The figures come from a report released by the Korea Employment Information Service on Friday that studied 18,972 workers in 618 different professions. A 4,500-ton U.S. Coast Guard cutter on Saturday arrived in the southeastern port of Busan after a week of joint exercises with the South Korean Coast Guard off Jeju Island. Last week the Bertholf took part in the joint interdiction exercise targeting ships engaging in illegal ship-to-ship transfers of fuel and goods for North Korea. The Bertholf's continued presence here sends a warning to both North Korea and neighboring countries that sanctions violations will not be tolerated. In a recent visit to the Wonsan-Kalma Coastal Tourist Area, which is under construction, North Korean leader Kim Jong-un once again delayed the completion date for the project by six more months. Kim cautioned workers not to get so obsessed with speed that they end up doing a slapdash job. 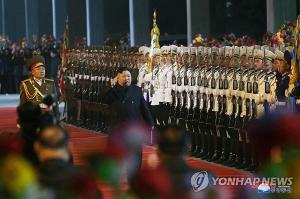 In contrast with last year, however, Kim didn’t take the occasion to bash the sanctions imposed on the North. Upcoming Moon and Trump summit in Washington could reveal roadmap for NK-US dialogue? Over the past few days, the US government under President Donald Trump has paired the tough message that it won’t lift sanctions against North Korea with the promise to keep up momentum in dialogue with the North. Considering that there is still strong demand in the US for a roadmap that would include the final stage of denuclearization, the next question is whether the South Korea-US summit on Apr. 11 will produce a plan for resuming North Korea-US dialogue, which is currently at a standstill. On Apr. 6, US President Donald Trump said that the North Korea-US denuclearization talks have to result in the right deal. He was presumably pressuring North Korea to accede to US demands for an all-inclusive agreement. On the same occasion, Trump also boasted of his very good relationship with North Korean leader Kim Jong-un, making clear his determination to resume dialogue with the Pyongyang. Trump has once again affirmed his “grand bargain” strategy of leaving open the door to dialogue while being unwilling to lift or even ease sanctions on North Korea until it has denuclearized. But insisting on a grand bargain isn’t enough to bring about the North’s denuclearization and dialogue, and the US needs to be a little more flexible on the issue of sanctions, which is of such interest to the North. UNESCO is reportedly planning to send a message to Japan that it should engage in conversations with South Korea to resolve the issue of listing documents related to victims forced into sexual slavery for Japanese troops during World War II. Tokyo has avoided discussing the issue with Seoul for over a year, while it has called for diplomatic discussions regarding the top court’s ruling on compensation for victims of forced labor. Cosmax Inc., South Korea’s cosmetics original design manufacturer (ODM), announced Monday that it has developed microbiome-based cosmetic products for the first time in the world. As an ecological community of symbiotic microorganisms, the microbiome is often called “another genome.” Researchers at Cosmax have studied microbes thought to have a relation to anti-aging effects since 2011, under the assumption that various symbiotic microorganisms would play a variety of roles in the human body. A guard post set up along the east coast that symbolizes the tragic division of the country will be registered as a cultural property. The Cultural Heritage Administration said on Monday that it would designate a guard post (GP) in Goseong, Gangwon Province, which was the first GP built on the South Korean side after the 1953 Korean War Armistice Agreement. 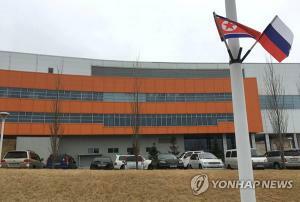 The two Koreas had decided to remove the frontline GP according to the September 19 inter-Korean Comprehensive Military Agreement (CMA) but later agreed to keep the defunct facility, taking into account its historical value and practical usage. “It has historical significance in that it is located closest to a North Korean GP,” said the state agency. Safety requires money. The massive wildfire that broke out in the Gangwon region on April 4 was quickly extinguished because the government had steadily increased investment in fire safety in the last four years. The fire safety grant funded by the increase in the tobacco tax provided the money. The government is expected to significantly increase the budget to purchase more firefighting equipment in next year's budget. According to the Ministry of the Interior and Safety and the National Fire Agency, a 1.6 trillion-won fire safety grant was distributed to local governments over the last four years from 2015 to 2018. Of these funds, 78.2% or over 1.2 trillion won was used for firefighting. Is the Liberty Korea Party Happy for the National Disaster? As the wildfire in Goseong and Sokcho, Gangwon-do spread to become a national disaster, the Liberty Korea Party voiced words and displayed behavior that lacked common sense, igniting public anger. 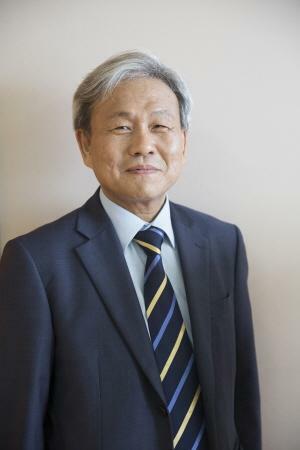 On April 6, Kim Moon-soo (Liberty Korea Party), the former governor of Gyeonggi-do wrote on Facebook, "I thought it was the Moon Jae-in 'candlelight government,' but I guess it was the 'wildfire government.' Their fondness of the candlelight brought a wildfire throughout the nation and frustration to the people." To think that this is the thought of a person who once served as the governor of Gyeonggi-do, it is unbelievable. His lack of common sense is not only shameful, it is devastating. The South Korean currency fell to the lowest level against the U.S. dollar in 18 months on Monday as strong U.S. job data in March spurred demand for the greenback, while Norwegian sovereign wealth fund’s plan to cut emerging market bond holdings dampened appetite for the Korean won. The Korean won closed at 1,144.70 won against the U.S. dollar on Monday, losing 8.10 won from Friday’s close at 1,136.6 won. This was the lowest closing since Sept. 29, 2017 when it ended at 1,146.50, and the first time in five months that the local currency returned to the 1,140 won range against the dollar, triggering the selloff of the won. South Korea’s Celltrion and Canada-based iProgen Biotech announced on Monday they have agreed to partner for the development of novel antibody-drug conjugates (ADCs) against validated antibody targets, including HER2 and CD20. Antibody drug conjugates are compound molecules consisting of antibodies linked to a biologically active cytotoxic drug. Unlike chemotherapy, antibody drug conjugates are designed to mark and kill only cancer cells. ADCs are classified as platform technology for drug delivery as they are often used to boost drug efficacy. Credit card spending by foreigners in South Korea rose 12.6 percent last year from a year ago in line with increased tourists and spending on expensive beauty or medical care, data showed Monday. According to data released by Korea Culture & Tourism Institute and Shinhan Card Co. on Monday, foreigners’ credit card spending jumped 12.6 percent last year to 9.4 trillion won ($8.2 billion). The on-year rise is mainly due to high base effect as overall spending dropped significantly in 2017 as Chinese stopped coming to Korea amid diplomatic row over Seoul’s deployment of U.S. anti-missile system.